Losing weight and building muscle are both challenging. But with a healthy eating plan and a new workout routine, you can accomplish both at the same time! Eat lots of protein and healthy carbs. This will give you the energy to hit the gym and lift some weights. You’ll also want to incorporate High Intensity Interval Training (HIIT) to burn fat as effectively as possible. Calculate your ideal daily caloric intake. 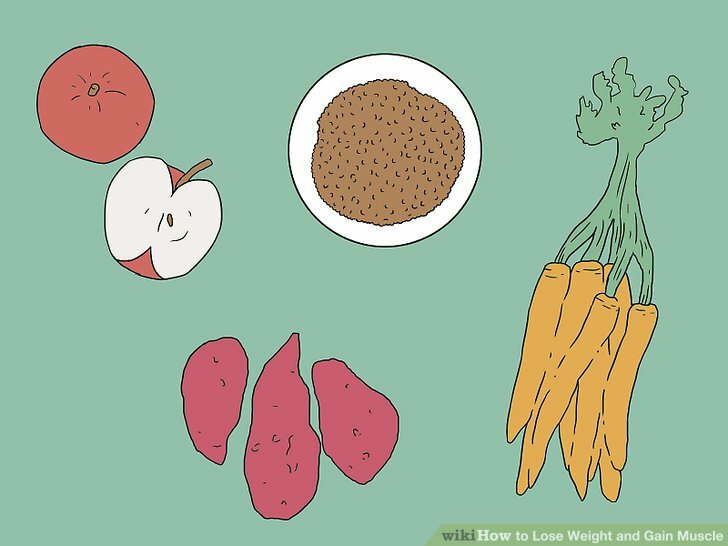 In order to lose weight, you need to create a calorie deficit. That means you need to burn more calories than you consume. You can use an online calculator to figure out how many calories you need per day. Everyone’s needs are different, so use a calculator rather than just looking at general guidelines. Once you have your estimated calorie guideline, subtract 300 calories from that number. 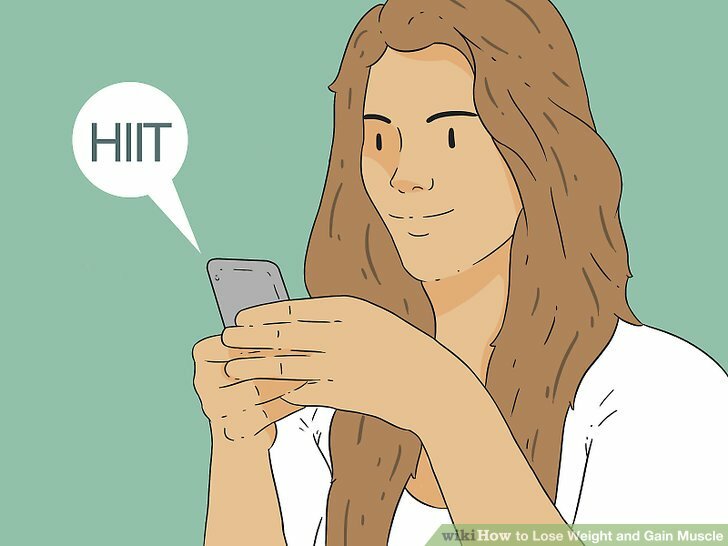 For example, if the calculator suggests that you need 1800 calories per day, you’ll want to consume 1500 to lose weight. Remember that you need plenty of energy in order to work out, so don’t plan to drastically cut calories. Talk to your doctor about your nutritional needs. 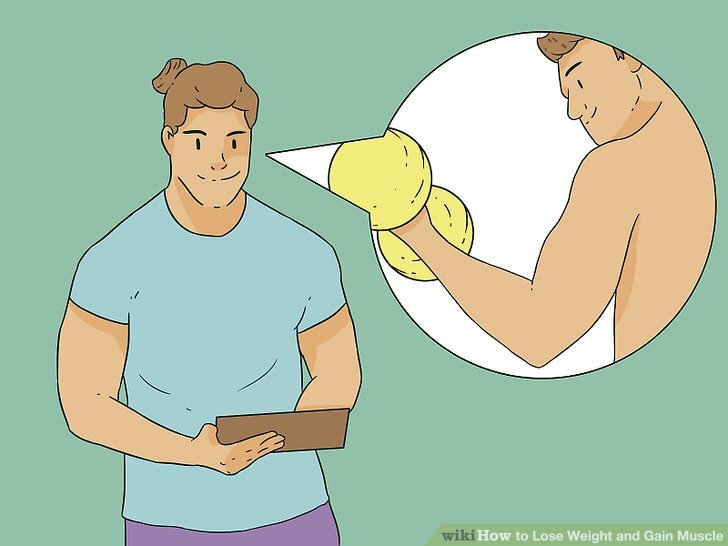 Aim to lose 1-2 lbs per week. Slow and steady is the key to healthy weight loss. 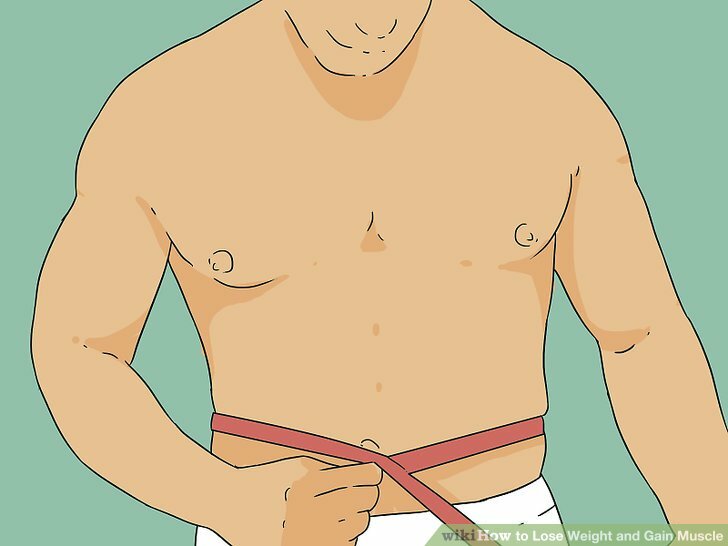 Plus, if you lose weight too quickly, you will also lose muscle. 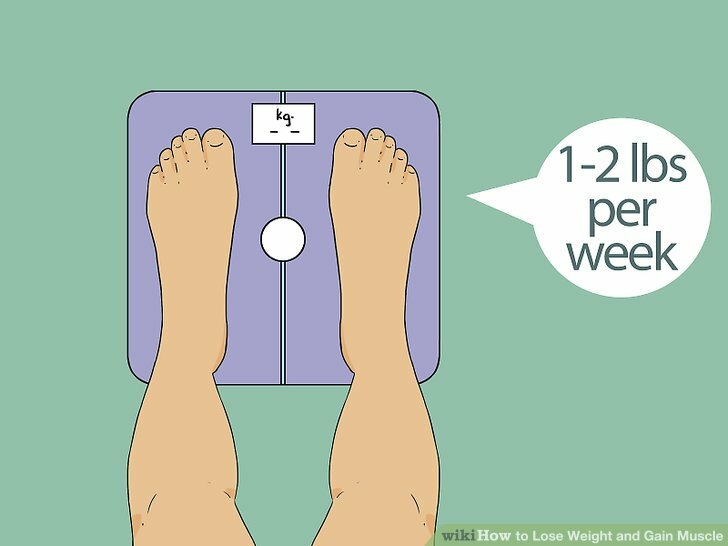 Your goal should be sustained weight loss of 1-2 lbs per week. Strength train for 45 minutes 3 times a week to build muscle. The best way to build muscle is to start a weight lifting routine. You can use either free weights or machines, or a mixture of both. Schedule 3 workouts per week, and plan to train for about 45 minutes. Alternate days, rather than doing 3 sessions in a row. Consider joining a gym. You will have access to all of the equipment that you need, plus a staff that can guide you. Perform both push and pull exercises to get a complete workout. To get the most from your workout, you want to push weights and pull them, so that you hit your muscles from all angles. Effective push exercises include bench presses and overhead presses, as well as tricep dips. Pull exercises include rows and pull ups. The amount of weight you use depends on your fitness level. 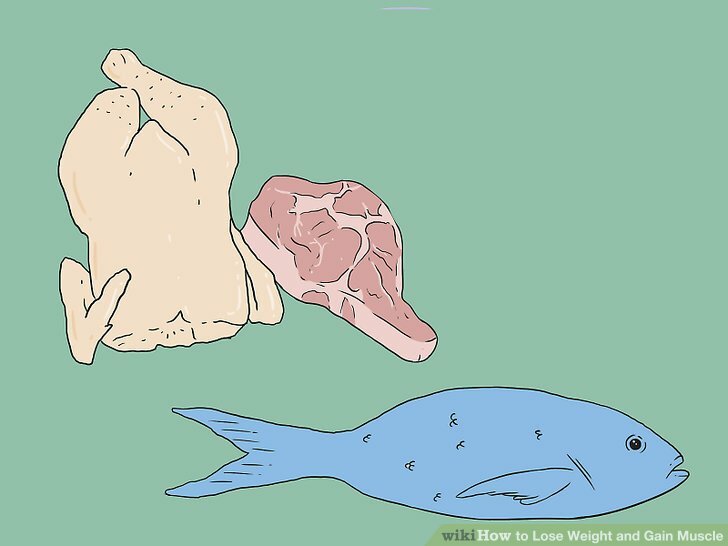 You might start with a 5 lb weight, and gradually add more. The same is true with the number of sets and reps you should complete. Generally, you'll probably start with 10-12 reps and 2-3 sets. Complete core exercises to build abdominal muscles. In order to get rock hard abs, you need to work your core. Doing this will also help increase overall strength and stabilization. Add planks to your routine. 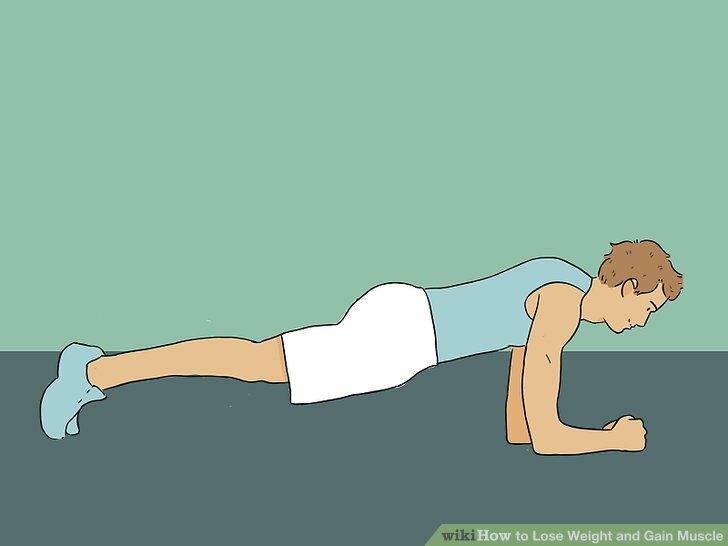 Start with holding a plank for 30 seconds a session. Gradually increase your time to 2 minutes. You can also add in 1 armed side planks to work your obliques. Do hanging knee raises. Hang onto a stable bar at the gym. 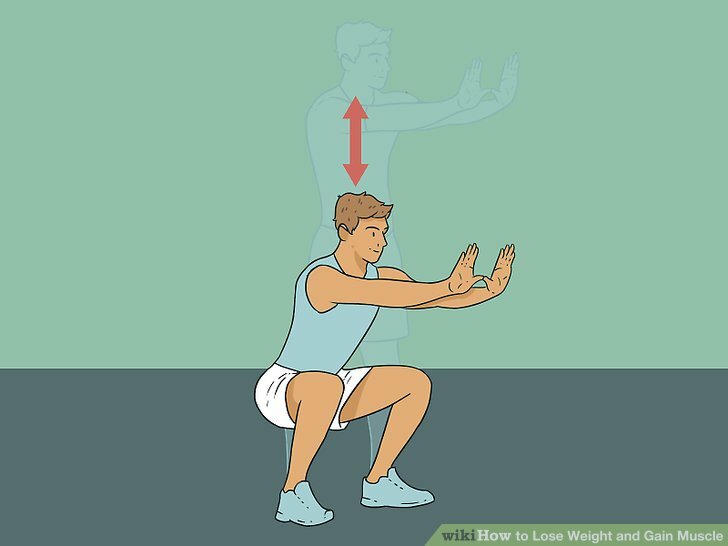 Lift your knees towards your chest and lower them back down for 1 rep. You might only be able to do a couple at a time at first, but you can work your way up to doing 10-12 in a set. Keep a training journal to track your progress. Each time you workout, write down how many reps you do of each exercise, and how heavy the weights were. You’ll have a record of where you started and note the areas where you have improved. You can use a standard notebook or use an app to keep your notes. Consider meeting with a trainer if you’re new to weight training. It’s really important to have good form when you work with weights. If you’re new to this type of workout, it might be a good idea to consult a trainer. If you work out at a gym, ask about setting up a session with a trainer. Many gyms will offer a complimentary introductory session. A regular trainer might be beyond your budget, and that’s okay. 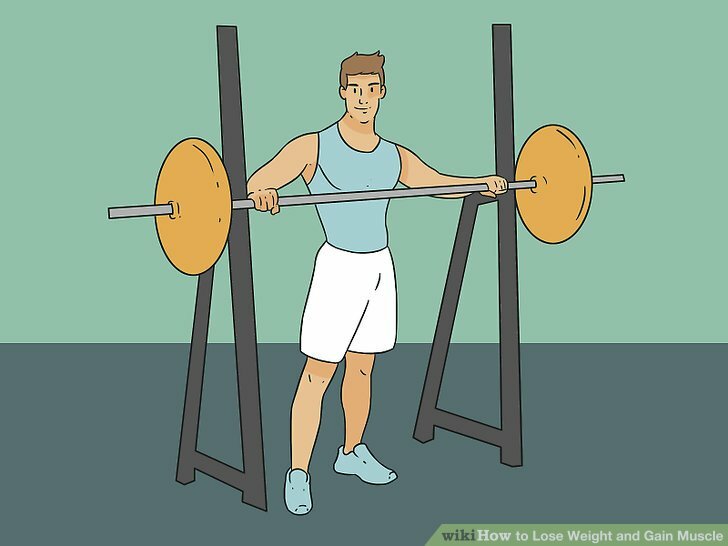 You could also watch videos from reputable sources online to get an idea of what great form looks like. Good sources include ACE training videos, videos made by physical therapists and kinesiologists, and videos from certified personal trainers. Incorporate stretching to help prevent injury. Make a point to stretch after each workout. Aim for 5-10 minutes each session. You don’t have to stretch every muscle in your body, but make sure to release the tension from the areas that you worked that day. 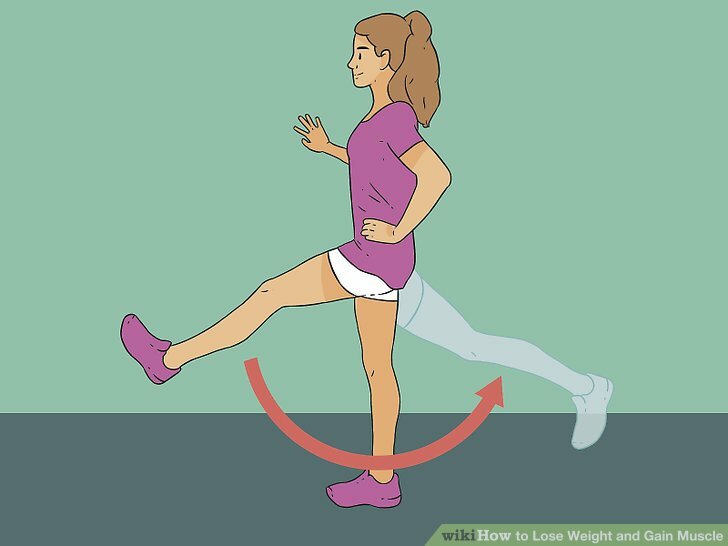 Do simple toe touches to stretch out your legs. 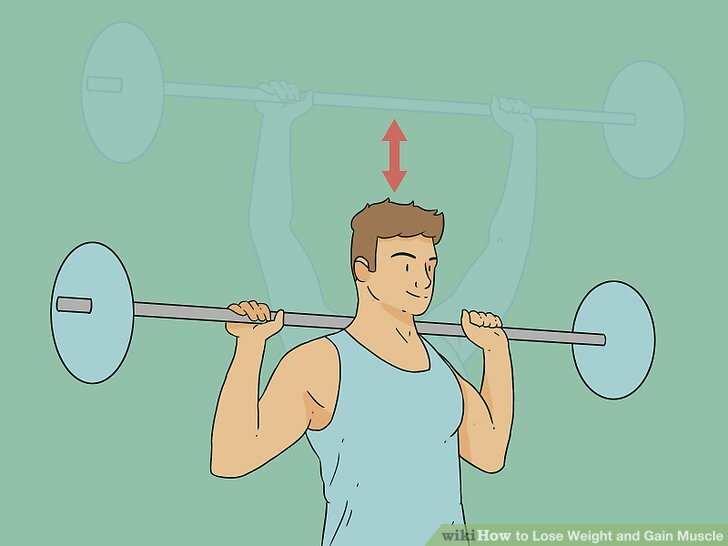 Stretch your arms straight at shoulder level so that look like a T. Face your palms up toward the ceiling. 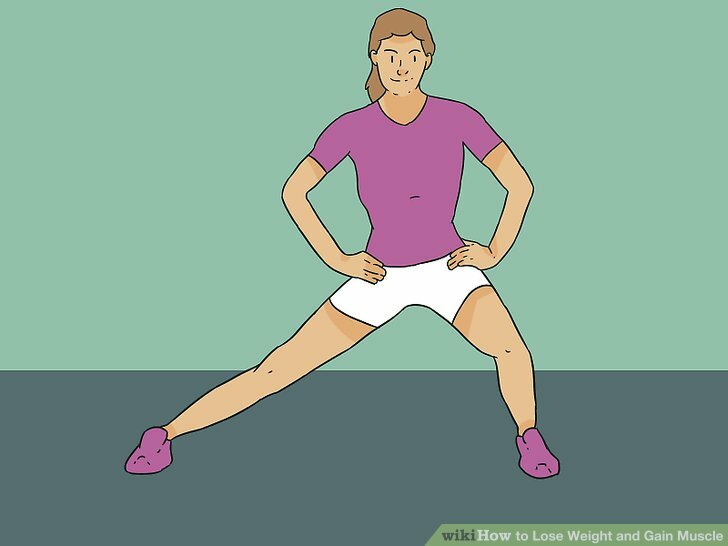 Slowly rotate your palms down toward the floor, keeping your arms in the T position. Hold the stretch for a moment, then rotate your palms back toward the ceiling. Repeat this stretch 4-5 times in each direction. Swap lengthy cardio sessions for HIIT. HIIT sessions are a great way to get your heart rate up and get you quickly into the fat burning zone. These are a great choice, because while lengthy cardio sessions can burn a lot of calories, they can also break down muscle as well as fat. When you’re looking to build muscle and lose weight at the same time, HIIT workouts are your best bet. Slow down and recover for 2-4 minutes. Now you want to bring your heart rate back down for a short time. You’ll keep working, just not at the same pace. 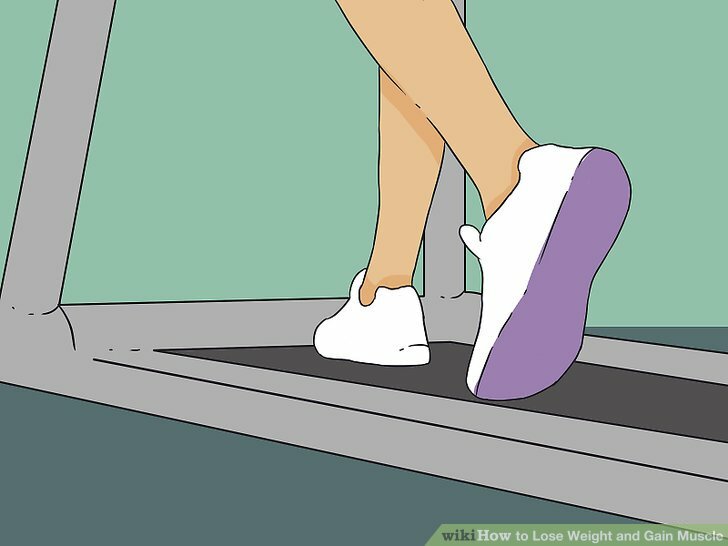 During these recovery periods, you could do sit-ups or push-ups, walk on a treadmill, or ride at a gentle speed on a stationary bike. You want to keep burning calories, but get your breath and strength back. Complete 1-3 HIIT workouts per week for the best results. Ideally, you should aim for 2-3 20-30 minute sessions per week. Alternate days, so that you do strength training 1 day and HIIT the next. You can download HIIT apps on your phone to guide you through workouts. Many gyms offer HIIT classes, if group exercise is your thing. Super high-intensity workouts can strain your heart. If you get up past 80% of your maximum heart rate during your HIIT workouts, limit them to once per week to give your heart time to recover and build strength. Mix up your workouts so you don’t get bored. 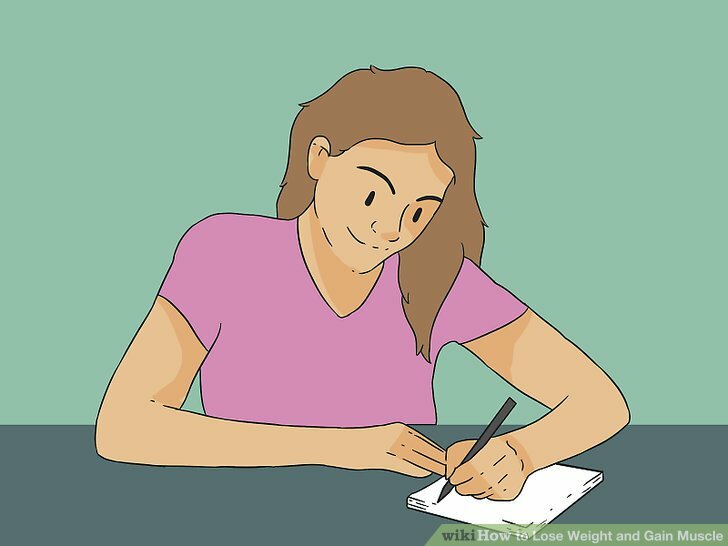 Keep a food diary so that you can track your weight loss progress and note any issues. Talk to your doctor before making drastic modifications to your wellness routine. Don’t lift heavy weights without a spotter. Stop exercising if you feel dizzy or have great difficulty breathing.